I recently had an exchange with a commercial theme developer who changed his terms away from the GPL because of an experience with some rude person who was redistributing his themes for free. Ultimately, I wasn’t able to convince him to stick with it, but there was a clear misunderstanding of the GPL in the first place there (I suspect that language differences played some part), and I thought this might make for an interesting blog post. The main barrier to the GPL that a lot of theme developers have expressed is the right of redistribution. That is to say that if you sell me a GPL’d theme, then I can turn around and give that theme to anybody I want, for free, and you have no recourse. This viewpoint is entirely correct, however it’s missing the big picture, I feel. First off, why would I take something I paid for and then give it away to everybody else for free? I mean, it’s one thing to give a copy of something to a friend of mine for his use, but it’s wholly another to go to the effort of setting up a website to distribute your theme as some kind of “screw you” policy. Did you anger me in some way? What level of maliciousness would be necessary for me to want to do that? Seems a bit overboard, and most people are ultimately reasonable. However, this ignores the existence of John Gabriel’s Greater Internet Fuckwad Theory. Which is to say that some people are just trolling bastards who will screw with you just because they can. So let’s say that somebody gets a copy of your themes, posts them online, then refuses to take them down despite your polite requests, and waves the GPL in your face for his right to redistribute them. Technically, this sort of person is correct, he does have the right of redistribution. But that doesn’t really matter. What Are You Selling, Anyway? Let’s say I made a piece of code and sold it. No GPL, no license, just me selling code to people for their own use. They have no rights to the code whatsoever. So, somebody posts that code online, for free, at some pirate site. Somebody else downloads it, and uses it, without paying me. Straightforward software “piracy”. What have I lost here? Well, I lost the cash that I could have made from an extra sale, true, assuming that said person would have bought the code instead of pirating it. If you know people who habitually pirate code, then you know that that is a rather dubious claim, at best. More importantly, I’ve lost a contact point between me and the user of the code. When I sell something to somebody, then I now have a relationship with that person. I get their email address. They may contact me for support. Even paid support. I may have forums for purchasers of my software to talk amongst each other in a community support system. They may buy other things I wrote. This is the real benefit to selling code, that relationship between me as a developer and them as a purchaser of what I develop. And I’m missing that connection, until they want support from me for my product. Then I may say “well, you’re using a pirated copy of my product, if you want to join my support forums and my community and get my help, then you have to buy the product from me”. Take note of the many times that software companies have offered “clemency” sales and such, to turn pirated copies into legitimate ones. 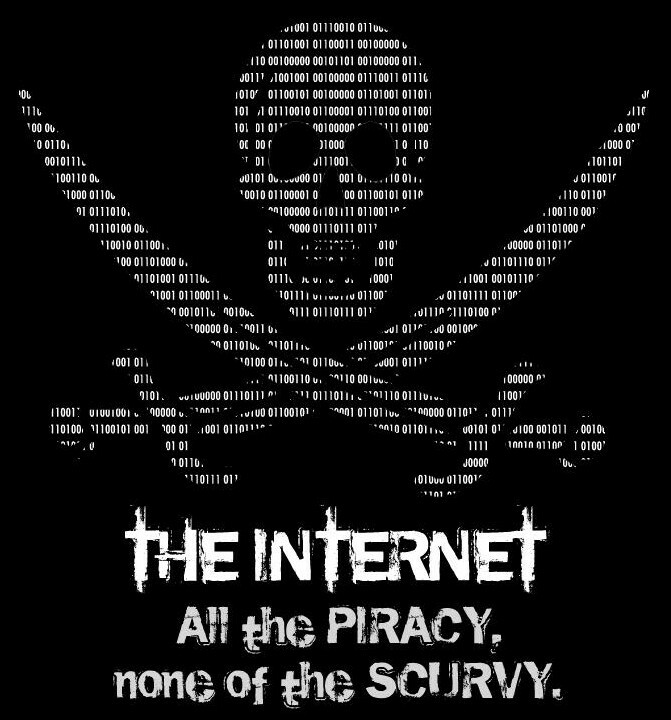 You Can’t Stop Piracy, So Don’t Try. Think about it, you’re selling a digital file here. Files can be copied. If I buy a copy of your software, strip out any identifying marks, then post it to a thousand torrent sites, what exactly can you do to stop me from doing that? No matter what your terms and conditions are, people still can copy your files, distribute them, edit them, do whatever they want. Unless you’re actually enforcing your terms with (potentially expensive) legal actions, then your terms are really quite meaningless. Technical measures to stop piracy don’t work, as many game companies have found out over the years. DRM doesn’t (and technically cannot) work. Instead of viewing people redistributing your code as a bad thing, view it as an opportunity. If somebody downloads a “pirated” copy of your code, and uses it, then clearly they have a use for it. And at some point, they’re going to want upgrades. They’re going to want support. They’re going to want modifications. So make sure that you are the person they come to, and then you have an opportunity to convert that pirated download into a real sale. The GPL doesn’t screw the developer by allowing others to share his work. The GPL enables the developer to get more contacts (and potentially more sales) by allowing others to share his work along with his name, contact information, website, etc. Don’t fight against the right of redistribution, make it work for you instead. In the WordPress world, security is always a prime concern, and for obvious reasons. It’s a major target for spammers, what with 30 million sites and what have you. So there’s a lot of security plugins to do scanning on your files, there’s file monitor plugins which work by simply noticing changes to the files of any sort, we do scans in the theme check process, etc. I’ve gotten a few responses back to some of my malware related posts asking why WordPress doesn’t check for this sort of thing in the core code. Why can’t WordPress check for the existence of “eval” and such in a plugin before it runs it? Well, I’ll show you. Securi covered the “Pharma” attack several months ago, but nobody seemed to notice the important bit of code that shows why WordPress can’t do scanning in core. Fact of the matter is that the hacks have already gone well beyond scanning for strings and such. <?php $XZKsyG='as';$RqoaUO='e';$ygDOEJ=$XZKsyG.'s'.$RqoaUO.'r'.'t';$joEDdb='b'.$XZKsyG.$RqoaUO.(64).'_'.'d'.$RqoaUO.'c'.'o'. 'd'.$RqoaUO;@$ygDOEJ(@$joEDdb(long long string here)..
And we have “assert” and “base64_decode” once again. The assert function will also evaluate strings as PHP code, BTW. It’s really just an eval in another form. Now tell me, how you gonna scan for something like that? Determining whether a piece of code is malicious or not is basically equivalent to the halting problem. You can’t do it programmatically. Not really. If WP added code to the core to try to detect and stop this sort of thing, the spammers would simply modify their code so that the core couldn’t detect it anymore. Why get into an arms race? It’s better to concentrate on making WordPress itself secure and to try to educate both users and hosts about good security practices. Most hacked sites get hacked via insecure server configurations, not through WordPress itself. So scanning is pointless. So why do we still do it for theme check and such? Because not all malicious code is as cleverly written, and so some basic scanning is indeed somewhat effective. And the goal there is simply to weed out the problems. All of the WordPress.org theme checking is done by human eyeballs, the scanning tools just ensure a minimal level of theme capabilities and make pruning that much quicker.